Nikon Instruments Inc. Receives iF Design Award for Superior Product Design | News | Nikon Instruments Inc.
Nikon Instruments Inc., innovator of advanced optical instruments, is honored to announce that the ECLIPSE Ti2 Inverted Research Microscope has been awarded the iF Design award. With its unprecedented 25mm field of view (FOV)—which is up to twice as wide as competitive systems—along with its improved stability and usability, the design of the ECLIPSE Ti2 has revolutionized how researchers capture data with a microscope. 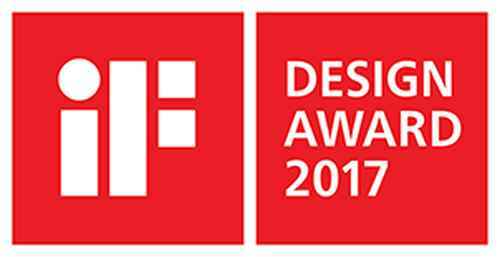 The iF Design Award is a globally recognized and prestigious award which has been sponsored by the iF International Forum Design GmbH since 1953. This year, 5,575 entries from 59 countries were evaluated by renowned experts. With an incredible 25 mm FOV, the ECLIPSE Ti2 maximizes the sensor area of large-format CMOS cameras and significantly improves data throughput. The Ti2’s exceptionally stable, drift-free platform is designed to meet the demands of super-resolution imaging, while its unique hardware-triggering capabilities enhance even the most challenging, high-speed imaging applications. The Ti2 also offers intelligent functions to guide users through imaging workflows by gathering data from internal sensors – eliminating the possibility of user errors. The status of each sensor is automatically recorded during acquisition, providing quality control for imaging experiments and enhancing data reproducibility. Large diameter observation optics. The ECLIPSE Ti2 provides an unprecedented 25mm field of view, the largest FOV achieved in the inverted microscope market and up to twice as wide as competitive systems. Integrated fly-eye lens technology ensures uniform edge-to-edge illumination of the large FOV while redesigned large fluorescence filter cubes further ensure flat field imaging. The Ti2’s large FOV revolutionizes imaging workflows by changing the amount of data acquired within a single FOV. For example, the Ti2 significantly reduces the number of image acquisitions needed in high content experiments and large-image stitching applications. The Ti2 also improves data throughput for fast time-lapse imaging experiments that are limited to single FOV captures. Improved stability (Ti2-E). The quality of image data is influenced by focus stability, which in turn is greatly affected by even the slightest changes in temperature and vibrations in microscopic environments. The focusing mechanism has been completely redesigned in the Ti2 to provide high-precision focusing capability and an ultra-stable imaging platform to meet the needs of demanding applications such as super-resolution and long-term high-content screens. The smaller design and close positioning of the new focusing drive to the objective nosepiece contribute to minimizing drift in XY and Z. Furthermore, the Ti2 incorporates a fourth generation Perfect Focus System (PFS) which once again improves upon the industry leading auto-focusing mechanism to provide an ultra-stable imaging experience. Improved usability (Ti2-E/A). User experience has been revolutionized with the Ti2’s built-in sensors, internal camera1 and the Assist Guide, the world’s first2 intelligent microscope operation guide. The Assist Guide integrates all of the status information collected from the sensors to help navigate users through their desired observation method and also detects and alerts users of errors in microscope setup, eliminating the need for troubleshooting. This intelligent guide can be accessed either through a tablet or PC interface. Furthermore, the Ti2 has been completely redesigned, from the overall body design to the selection and placement of every button and switch, for more intuitive operation. Auto Correction Collar for highest quality imaging. Changes in sample and cover glass thickness, refractive index distribution, and temperature can lead to spherical aberration and image deterioration. Precise positioning of correction collars on objectives is critical in counteracting these changes and for achieving highest resolution, best contrast images. The Ti2’s automated correction collar utilizes a harmonic drive and automatic correction algorithm that enable users to easily achieve precise collar adjustment to achieve maximal objective performance every time. The ECLIPSE Ti2 Inverted Research Microscope is now available. For more information, click here. Nikon Instruments Inc. is the US microscopy arm of Nikon Healthcare, a world leader in the development and manufacture of optical and digital imaging technology for biomedical applications. Leveraging over 100 years of optical expertise, Nikon Instruments offers cutting-edge imaging technologies including microscopes, digital imaging products, software and contract-research services. For more information, visit www.microscope.healthcare.nikon.com or call 1-800-52-NIKON.